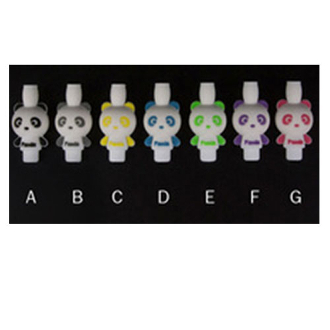 Our new Panda Designer Drip Tips are stirring up a bit of Pandamonium!! We here at E-Cigarette-USA believe that our customers have the right to bear drip tips... I mean, how else are you going to make your electronic cigarette unbearably cute? Our 510 drip tips are made with Silica Gel to give them a soft and comfortable texture while your vaping. These unique drip tips are sure to release your inner animal with their bright and bold colors.